We will now ask the question, ” IN THE BLESSINGS OF THE NEW COVENANT WHAT DOES A HEART OF FLESH THAT GOD PROMISED TO GIVE TO PLACE INSIDE US US LOOK LIKE? The answer lies in the hearts of man that needed change. A great change was needed. WHAT IS A HEART OF FLESH? THROUGH THE WHOLE OF THE NEW TESTAMENT THERE WAS ALWAYS ONE TROUBLE. MAN’S HEART WAS NOT RIGHT WITH GOD. IN THE NEW COVENANT THE EVIL IS TO BE REMEDIED. ITS CENTRAL PROMISE IS A HEART DELIGHTING IN GOD’S LAW AND CAPABLE OF KNOWING AND HOLDING FELLOWSHIP WITH HIM. As I said … We are given a new disposition! THE “ HAVE TO’S “ OF THE CHRISTIAN LIFE HAVE BECOME THE “ I WANT TO’S” – BECAUSE GOD IS WRITING HIS LAW ON OUR HEARTS. 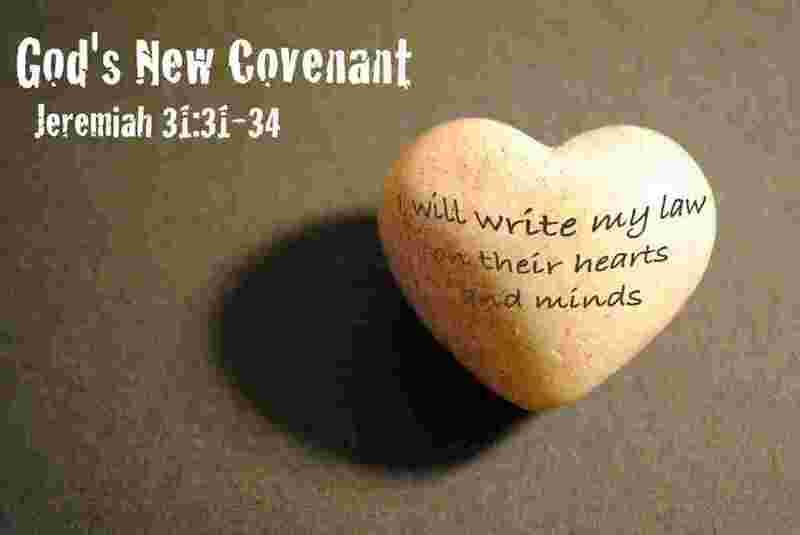 Jer 31 33 – But this is the covenant that I will make with the house of Israel after those days, says the Lord: I will put My law in their minds, and write it on their hearts; and I will be their God, and they shall be My people. God has moved upon us in Christ so powerfully that the person of Jesus and our love for him becomes a consuming passion, and the truth of God’s Word inspires us with zeal and godly EMOTIONS to serve him. As we experience, the power and reality of the New Covenant we don’t have to ” work up” a desire to serve God. We are motivated by God’s Spirit to delight and enjoy serving Him and doing his will. In the New Covenant we experience such tender and sweet emotions. The “ world” cannot even come close to experiencing the wonderful emotions and feelings we enjoy! Here are some scriptures that speak of beautiful and powerful emotions in a believer’s life ……. Rom 5:5 – hope does not disappoint us, because God has poured out His love into our hearts through the Holy Spirit, whom He has given us. Phil 4:7 – the peace of God, which surpasses all understanding, will guard your hearts and your minds in Christ Jesus. But all this is the new set of desires that God has given us in the New Covenant. WE DON’T WORK FOR IT- WE USE IT! (1) THE DESIRE TO DO THE WILL OF GOD IS THE GIFT OF GOD! Righteousness is INSTINCTIVE. The GIFT OF GOD. The desire to do the will of God is not something I have to work up. It is something I can ” fall back upon” and rely on. Many Christians have tried so hard and so long to try and ” work up something” , that God says. ” Guess what – WHEN YOU BECAME BELIEVER, I PUT IT RIGHT THERE! ,,,, that desire may be DEEP! Rom 7: 22, 23 – I delight in the law of God according to the inward man. 23 But I see another law in my members, warring against the law of my mind, and bringing me into captivity to the law of sin which is in my members. The battle between the “ flesh and the spirit” is raging in this chapter. (Later Romans chapter 8 will show the power of The Holy Spirit giving victory). But notice, in Romans 7:22, the apostle says that he “ delights in the law of God according to the inward man”. The word “ delight” in the original language of the bible is an extremely strong word! Paul doe not say “WHEN I’M IN FELLOWSHIP” ..
It’s a blanket statement! ALL THE TIME! WE READ THE SCRIPTURES AND ARE GETTING IN TOUCH WITH WHAT WE ALREADY DESIRE TO DO. OUR ROLE IS TO DRAW FORTH WHAT PEOPLE FUNDAMENTALLY DO WANT TO DO THOUGH SOMETIMES IT IS BLOCKED BY SIN AND INSANITY . We will now ask the question, “WHY DID GOD HAVE TO BRING US INTO THE BLESSINGS OF THE NEW COVENANT? The answer lies in the hearts of man that needed change. A great change was needed..
WHY DID GOD HAVE TO BRING US INTO THE NEW COVENANT? ……..IS………….. THE HEART OF MAN! THROUGH THE WHOLE OF THE OLD TESTAMENT THERE WAS ALWAYS ONE TROUBLE. MAN’S HEART WAS NOT RIGHT WITH GOD. IN THE NEW COVENANT THE EVIL IS TO BE REMEDIED. ITS CENTRAL PROMISE IS A HEART DELIGHTING IN GOD’S LAW AND CAPABLE OF KNOWING AND HOLDING FELLOWSHIP WITH HIM. What is the Heart of Man? The ” heart” of man includes the will, longings, desires, emotions and also the conscIence. The heart is the MAINSPRING of man! Ecc 9:3 – Truly the hearts of the sons of men are full of EVIL; madness is in their hearts while they live, and after that they go to the dead. Jer 17:9 – “The heart is deceitful above all things, And desperately wicked; Who can know it? Rom 1:21 – although they knew God, they did not glorify Him as God, nor were thankful, but became futile in their thoughts, and their FOOLISH hearts were darkened. Matt 19:7, 8 – They said to Him, “Why then did Moses command to give a certificate of divorce, and to put her away?” 8 He said to them, “Moses, because of the HARDNESS of your hearts, Permitted you to divorce your wives, but from the beginning it was not so. Ezek 36: 26 – I will give you a new heart and put a new spirit within you; I will take the HEART OF STONE out of your flesh and give you a heart of flesh. LET’S NOW READ ABOUT HOW GOD GAVE HS HOLY LAW TO PEOPLE WHO WHERE INCAPABLE OF KEEPING IT. Turning to Deuteronomy chapter 5. God is giving the Law to the children of Israel through Moses. The children of Israel seem to be ready, willing and enthusiastic to do the will of God. In verse 27, we read that they are saying to Moses ….. It was just like a ” revival meeting”!. They seemed SO WILLING AND COMMITTED to serve The Lord! But God knows that although their intentions are good . They need A NEW HEART to love and serve him. WHAT DOES “SUCH A HEART” THAT GOD WANTED TO GIVE THEM LOOK LIKE? the Lord your God with all your heart and with all your soul, that you may live. The apostle Paul wrote about such a ” circumcised heart” in Romans 2:28, 29 . Rom 2:28, 29 – For he is not a Jew who is one outwardly, nor is circumcision that which is outward in the flesh; 29 but he is a Jew who is one inwardly; and circumcision is that of the heart, in the Spirit, not in the letter; whose praise is not from men but from God. JER 24:7 – Then I will give them a heart to know Me, that I am the Lord; and they shall be My people, and I will be their God, for they shall return to Me with their whole heart. JER 32:40 – And I will make an everlasting covenant with them, that I will not turn away from doing them good; but I will put MY FEAR in their hearts so that they will not depart from Me. tender, soft and yielding to God. Ezek 36:26 – I will give you a new heart and put a new spirit within you; I will take the heart of stone out of your flesh and give you a heart of flesh. For hundreds of years this wonderful promise given through the prophets about the blessings of The New Covenant made to restored Israel had been forgotten. The promise, given through the prophets Jeremiah and Ezekiel had been made SPECIFICALLY TO ISRAEL. These promises specifically concern what God will do the Israel nation when Jesus returns to earth. God , in that day will fill every redeemed Israeli heart with an intimate knowledge of and a fellowship with the Lord Jesus. Every Israeli heart will one day be filled with a desire to do God’s will. This promise of the New Covenant had been forgotten for hundreds of years. Forgotten, until the night of the last supper that Our Lord Jesus had with his disciples before he suffered. As he offered the wine to them , the Lord spoke these words to them ……..
As the Lord Jesus spoke these words to his apostles he established the New Covenant with His blood to His Church. We the church can now have a preliminary foretaste of the blessings of the new covenant that will one day be fulfilled completely to the Nation of Israel. Today is the age of the new covenant. In the New Covenant the Lord’s special grace is poured out to us his redeemed sons and daughters who make up his church. You see, the bible tells us that when Jesus enters our lives, MANY THINGS HAPPEN…. 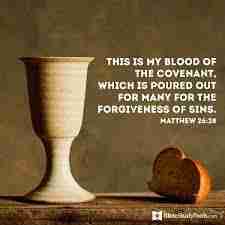 The New Covenant given to us is so wonderful – and sometimes we don’t realize the power and blessing we have because of the New Covenant Jesus has purchased for us with His precious blood. Because we do not fully realise what is our inheritance in Christ, sometimes we are satisfied living sub-standard spiritual lives. TO US WHO ARE SAVED AND BORN AGAIN, GOD HAS MADE HIS REQUIREMENTS THE INSTINCTIVE DESIRE OF OUR REDEEMED HEARTS! IN THE NEW COVENANT GOD GIVES US A NEW DISPOSITION; A NEW SET OF DESIRES. WE ARE GIVEN A NEW INCLINATION TOWARDS RIGHTEOUSNESS THAT WE DON’T WORK FOR, BUT WE MERELY HAVE RECEIVED – THAT WE CAN CLAIM AND LIVE IN ON AN ONGOING BASIS. WE ARE ALSO GIVEN A NEW DYNAMIC POWER TO CARRY THROUGH THOSE DESIRES! In the New Covenant, God places us INTO CHRIST to such a degree that we are completely identified with Jesus. Because of this identification with Christ – we have a NEW SET OF DESIRES. These new desires are POWERFUL because we have the power of the Life Giving Spirit of Jesus Christ. Our conscience can have peace. Because we have the New Covenant we can obey God and do what He pleases. Because we have the new covenant we can have a deep inward knowledge of Him. Without the New Covenant we would have no confidence that our sins are forgiven. It would be difficult for us to obey God and do His will or to have anything deeper than an external and ordinary fellowship with God. But, praise God, we have the new covenant! And this new covenant is a covenant which He has established. Therefore, we can rest upon and rejoice in this covenant. (2 ) We are complete in Him…..
(3) In The new Covenant we are infused wuth Jesus very own nature …. 2 Pet 1:4 – ( To us) has been given to us exceedingly great and precious promises, that through these you may be PARTAKERS OF THE DIVINE NATURE, having escaped the corruption that is in the world through lust. John 1: 16, 17 – And of His fullness we have all received, and grace for grace. 17 For the law was given through Moses, but grace and truth came through Jesus Christ. WHEN WE BEGIN TO SEE THE DIVINE REALITIES THAT GOD HAS PLACED AT OUR DISPOSAL …… WOW! OUR LIVES CAN REALLY CHANGE! Instead of God writing a ” rule book, manual” ( Tablets of stone) ,, God NOW writes His requirements in our hearts! Jer 31:33 – “This is the covenant I will make with the people of Israel after that time,” declares the Lord. “I will put my law in their minds and write it on their hearts. I will be their God, and they will be my people. 2 Cor 3:3 – you are an epistle of Christ, ministered by us, written not with ink but by the Spirit of the living God, not on tablets of stone but on tablets of flesh, that is, of the heart. When you fully realise that God has a wonderful plan for your life, things will never be the same for you anymore! Our God has an AWESOME PLAN for his sons and daughters! He has chosen you and placed you into Christ. ( To be predestined means,,,,,, chosen……before the universe was created, God the father loved you. You and I were so important to him). Many non -Christians struggle with their self- image! Sadly, so do some Christians. But we who know and love Christ don’t have to struggle with a low self-image. We know we have been chosen and prepared by God for a unique and great work! We can with excitement and optimism find out who we are and what God planned that we are living for. When we serve him. his beauty will rest upon us and be seen with spiritual eyes. it’s truly amazing the way some people work on their Facebook or other social media profile! Some people spend hours and hours and hours on their Facebook profile taking pictures and pictures and pictures and rewriting the profile over and over again. – because these people have a low self image and strain with all their energy to impress. But we don’t have to have a low Self Image because God has called each one of us to be special in his Kingdom and giving us a beauty that is from him. And so …. We can with excitement and optimism find out who we are and what God planned for us to do! If it is His will, God MAY give us wealth and possessions. Money is not everything however! One thing we can be sure of as we walk after God’s ways and will. He will meet our every need. Matt 6:33 – But seek first the kingdom of God and His righteousness, and all these things will be added unto you. 34Therefore do not worry about tomorrow. God will always meet our needs, However he will never “MEET OUR GREEDS” – just so that we can be selfish. However, God certainly does make some of His children rich; He allows them to have great riches and they are able to be “rich in good” works, giving money to help others. Not every Christian has great earthly riches from God. …. You may not have every material blessing you want. The apostle Paul was in prison when he wrote this letter to the Ephesian Christians but he was rich; God has blessed you ‘with every spiritual blessing in Christ’ . Eph 1:.3 – Blessed be the God and Father of our Lord Jesus Christ, who has blessed us with every spiritual blessing in the heavenly places in Christ. We have no need to think or say,“He wouldn’t want to answer my prayers.” The Lord has endless love for us ….and if we are living with a clean conscience He WILL HEAR AD ANSWER OUR PRAYERS. Even though at times we MAY suffer heartbreak, God WILL restore our joy again! Sometimes life does hurt! LET’S BE HONEST … We may suffer, fierce persecution that makes us sad. We may weep for the sins and sadness of men and women ‘ outside of Christ’. But God’s providence is sent to make us a blessing in God’s kingdom. Psalm 109:22 – My heart is wounded within me’. God loves to use people who have been wounded and then healed because no one can minister better than a person who has had the same wound and then been healed by God. This is taught by the apostle Paul in Second Corinthians…..
God’s salvation is such good news that it makes even the smelly feet of the messenger seem beautiful! Out conscience can be free of nagging guilt.. We will see that Part of God The Father’s plan in choosing us in Christ – is that we are Redeemed, forgiven and free. 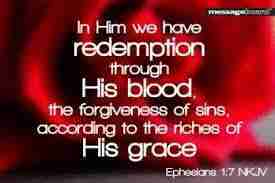 We have been redeemed through His precious blood. Isaiah 52:3 – For thus saith Jehovah, Ye were sold for nought; and ye shall be redeemed without money. Isaiah 52:9 – Break forth into joy, sing together, ye waste places of Jerusalem; for Jehovah hath comforted his people, he hath redeemed Jerusalem. ‘Redeemed’ was the word used for the buying back of a slave – a captive set free for a price. We have peace in Any storm. because we know we are in GREAT plan. Rom 8:28 – we know that to them that love God all things work together for good; to them that are called according to his purpose. How wonderful to know that We have been chosen, destined and adopted in God’s mIghty plan. We rejoice in the glorious HOPE for the future! My christian brother and sister, your eternal inheritance is guaranteed. WE ARE ABOVE EVERY CIRCUMSTANCE IN GOD’S PLAN! You are seated with Christ in the heavenly realms (v.20). God has placed you ‘in charge of running the universe, everything from galaxies to governments’ (vv.20–21, MSG). We had looked at God’s Plan and his choosing of us before the world’s foundation. Now we look at God’s Great Provision In Christ he has made to redeem us. We saw that in the Godhead, all things are “of” The Father. Everything is “by” the Son and then the The Holy Spirit implements these things and brings them into reality. Since all things are “OF” the Father, it was He who PLANNED the great scheme of salvation, (Eph 1: 3 to 5) ! Since all things God does are “by” the Son, it was He who came to earth and in awesome love went to the cross and accomplished that salvation. MAKING THE PROVISION for men and women to be saved according to the Father’s will.. The wonderful provision of our eternal salvation was made by Christ in His coming to earth to redeem us and is succinctly stated in Ephesians chapter one, verse seven. The Son of God Jesus, in His wonderful love and grace, at an awesome cost, redeemed us from our sins through His blood shed on the cross of calvary, (1 Pet. 1:18-19). The gospel of Matthew as well as the book of Hebrews tells us that the Son’s redemption through his blood is the forgiveness of our offenses. The Lord Jesus told his disciples on the night of his last supper with them, before his death. Matt. 26:28 – for this is my blood of the covenant, which is poured out for many unto remission of sins. Heb. 9:22 – .according to the law, I may almost say, all things are cleansed with blood, and apart from shedding of blood there is no remission. Redemption and forgiveness are actually two ends of one thing. Because Jesus has accomplished redemption for our offenses on the cross ,we receive forgiveness the very moment we believe in Christ. Although redemption was accomplished on the cross when Christ shed His blood, it was not applied to us at that time. The application did not take place until we believed in Christ and made confession to the righteous God. At that very moment, the Spirit of God applied to us the redemption Christ had accomplished on the cross. Hence, redemption is the accomplishment, and forgiveness is the application. Friend, I want to tell you today that God has a plan for your life. Provision has been made for your every need and God’s power can be released to bless your life. Today God willing we will be looking into the Book of Ephesians which captivates us with theses three dynamic realities of God’s plan, God’s provision and God’s power. 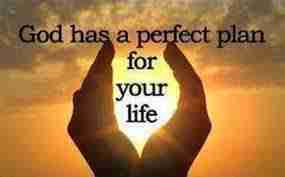 Firstly ( on this webpage) we will look at some aspects of God our Father’s Plan for your life. Matthew 28:19 speaks of the Father, the Son, and the Spirit. in The Trinity it is GOD THE FATHER WHO MADE THE GREAT PLAN OF SALVATION. The whole of the bible is about the Triune God—the Father, the Son, and the Spirit—working together to rescue and redeem men and women who have fallen and become slaves of sin and satan. The Father, Son and Holy Spirit are perfecting redeemed humanity, and step-by-step these redeemed ones are being made into the glorious likeness of God’s beloved Son, (Rom 8:29). Finally this redeemed company will together become a “bride” full of love for God’s Son, (Rev 21:9). In the Trinity, the Father, Son and Holy Spirit are One God. They all co-exist together simultaneously in inapproachable EQUAL glory. However, there is a difference between the Father, the Son and The Holy Spirit. This is a difference in arrangement and function. All things are “of” The Father. Everything is “by” the Son. The Holy Spirit implements these things and brings them into reality. Since all things are “OF” the Father, it was He who PLANNED the great scheme of salvation, (Eph 1: 3 to 5) ! Later, we will see that since all things God does are “by” the Son, it was He who came to earth and in awesome love went to the cross and accomplished that salvation. MAKING THE PROVISION for men and women to be saved, ( Eph 1:7). Finally we will see that the Holy Spirit implements and bring into reality the salvation that Jesus accomplished in the Father’s plan, (Eph 1: 13, 14). But it is GOD THE FATHER WHO MADE THE GREAT PLAN OF SALVATION. The Book of Ephesians is a wonderful book that tells us that God has a plan and a purpose for each one of our lives. He has made a plan that is awesome and wonderful that causes us more and more to bear the image of our glorious God. If we could only grasp and find out in our minds the great CHARACTERS that God has called us to have. If we could only grasp in our minds the great THINGS that God has called us to do, we would stand in awe and wonder and God’s plan for each one of us. 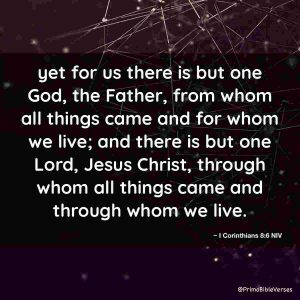 As well as telling us about God’s purpose the Book of Ephesians tells us how God has provided for that plan and purpose to be implemented and brought into reality. So the Book of Ephesians tells us about God’s plan that is His purpose. 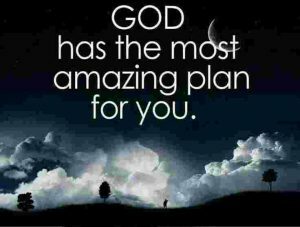 God’s PLAN (His purpose), is the first thing described in the book of Ephesians. Firstly let’s read the first few verses in the first chapter of Ephesians that speak concerning God’s plan. Eph 1: 1 to 6 – Paul, an apostle of Jesus Christ by the will of God, To the saints who are in Ephesus, and faithful in Christ Jesus: 2 Grace to you and peace from God our Father and the Lord Jesus Christ. 3 Blessed be the God and Father of our Lord Jesus Christ, who has blessed us with every spiritual blessing in the heavenly places in Christ, 4 just as He chose us in Him before the foundation of the world, that we should be holy and without blame before Him in love, 5 having predestined us to adoption as sons by Jesus Christ to Himself, according to the good pleasure of His will, 6 to the praise of the glory of His grace, by which He made us accepted in the Beloved. From this portion of the first chapter of Ephesians we see God’s plan. God made a wonderful plan from before the foundations of the world – before there was time or space and before you and I were created. God thought about you and God thought about me and God loved you and God Loved Me. We all had a physical birth when we came into being. I was looking at a programme on the human body and genetics and in this program I discovered that each one of us starts life as ONE single cell. and then by God’s grace and power, that number of cells multiply into millions and millions and millions and we become the individual that God has planned this to be. But millions of years before that, if you belong to Jesus, your real beginning was in the mind and in the heart of God. Before the world was ever made and before the stars were ever created; before your mother and father thought about having you God loved you and planned a destiny for you. God know the colour of your eyes and your personality. He even knew how many hairs would be on your head and exactly how many years days months and seconds you would live. You are not something that happened by chance. If you’re reading this, let me tell you that you are very important in the heart and the mind in the plan of God and he has for you an awesome awesome destiny to fulfill. We should all wake up every morning full of hope, life and expectancy. We should be full of excitement and expectation that God is going to use us every day that we live to serve him and to make a difference that will last forever in the kingdom of God! Together we should all be singing an anthem of Joy to the Lord. Ephesians 1:4 then, tells us that God chose us in him Christ before the foundations of the world that we should be holy and without blame before him in love. God chose us to be holy! What does that mean ? let’s examine the word ‘Holy‘. To be holy means to be separated from everything common, debased, messy and defiling and to be instead, SEPARATED UNTO GOD. God wants that we be separated from everything common and unclean and ordinary and that we be separated unto Him who his holy. If we are separated unto God we will be full of a positive attitude. God has a positive attitude because he is the God of all hope, (Rom 15:13) . Rom 15:13 – Now may the God of hope fill you with all joy and peace as you believe in Him, so that you may overflow with hope by the power of the Holy Spirit. We as Christians should never allow negative thoughts to play opon our mind because God is Holy. He is a positive God with positive hopes and plans and dreams – so we should be like God. Full of hope! the Bible says God Is Love, (1 John 4:8). The Very nature of God is to love and if we are separated unto Him we will even love those who despises and mistreat us, because we will be like Jesus who’s on the cross Cried Out “father Forgive them For they don’t know what they are doing”, (Luke 12:34). Now we read in verse 5 that God has adopted us to be his children to be his sons and Daughters. 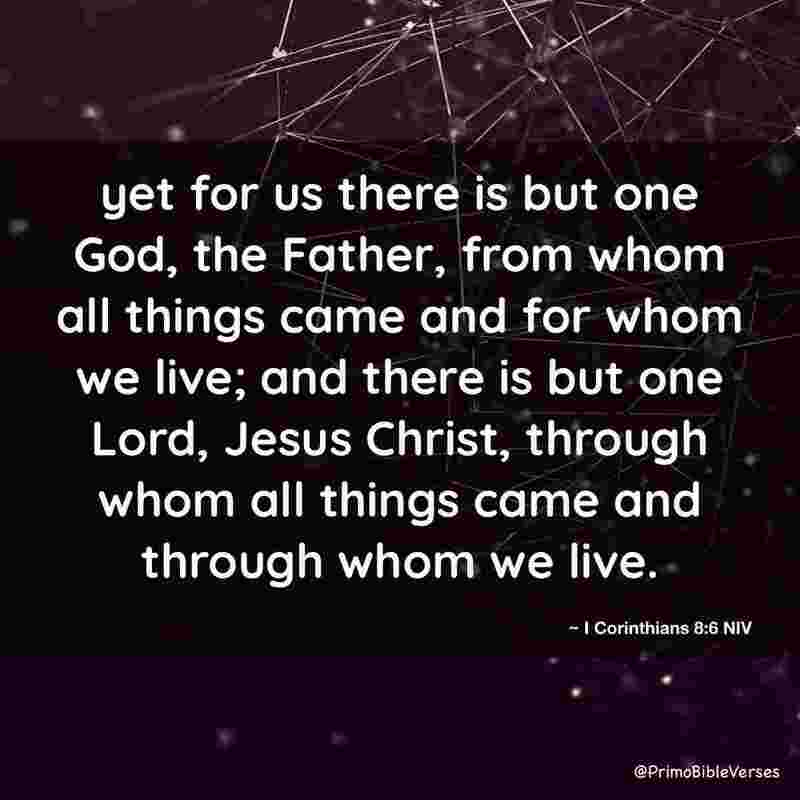 verse five actually tells us that God has predestined us to adoption as sons by Jesus Christ. The word ‘predestined’ means to be marked out beforehand do a purpose or to be chosen beforehand. From your point of view you chose Jesus when you made the decision to be a Christian and follow him – but from God’s point of view it was him who chose you even before you were born. He chose you do that you could would be saved and come to his Son for salvation. Eph 1:5 –– Having predestined us to adoption as Sons by Jesus Christ to himself according to the good pleasure of his will. Let’s look at the words – ‘according to the good pleasure of his will’. Let’s put them into a more Modern language. what this verses is telling us is that it THRILLED God’s heart the thought that you would be his son or daughter! God WAS so wonderfully happy before the stars were put in space to think that you would be his son or daughter. he loves you so much; God we’re so happy when he thought of you. The second thing that the Book of Ephesians tells us about is God’s Provision. This is what God has done to bring his plan and purpose into existence. He did that by sending His wonderful Son, Jesus to redeem us. GOD’S GREAT PROVISION IN CHRIST. But finally the third thing that shows is in the Book of Ephesians is his power. This is God’s power In our lives by the Holy Spirit to bring about what he has planned and purpose and provided for.